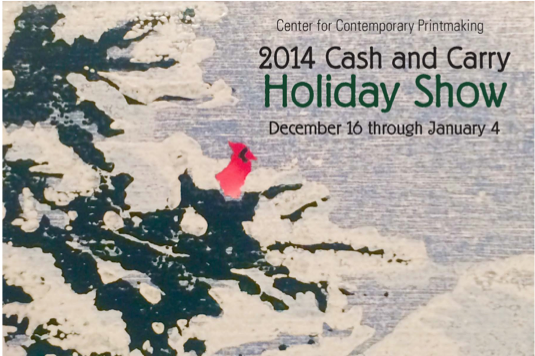 Just in time for holiday shopping, the Center for Contemporary Printmaking presents our 2014 Cash and Carry Holiday Show. This sale gives shoppers the opportunity to purchase high quality art at affordable prices. Featuring a diverse selection of one-of-a-kind works and limited-edition prints, the show offers something for everyone on your holiday shopping list. The sale runs through January 4, 2015.